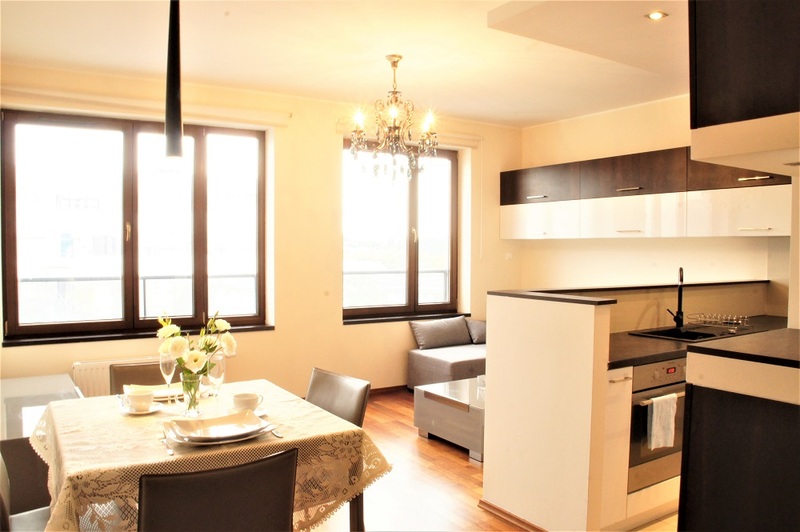 For sale a comfortable, fully equipped, 2-bedroom, 2 level apartment with an area of 64.58 m2, located in Lower Mokotow in a conveniently communicated with the city center and other districts of Warsaw. 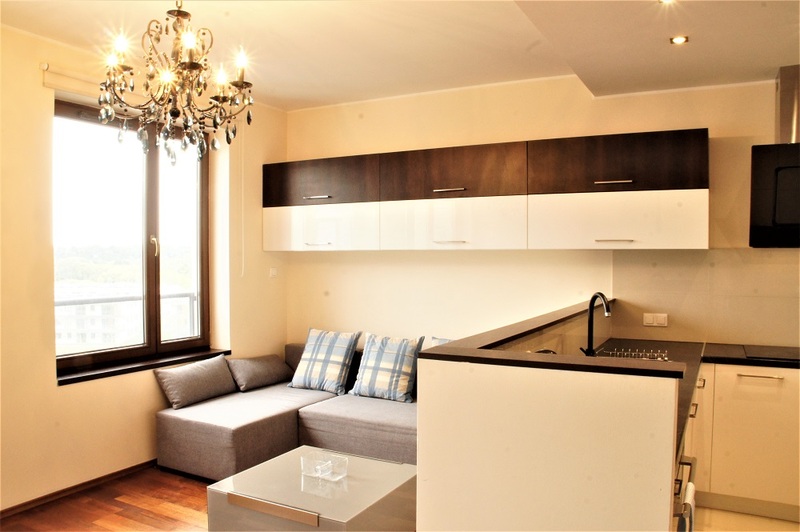 The apartment is elegant and ready for sale, designed by an interior designer and furbished with the utmost care and attention to detail and quality of materials. – hall with a handy wardrobe and beautiful wooden stairs to the second level. – a spacious, beautifully finished bathroom with a bathtub, a washbasin and a WC. – spacious, very comfortable wardrobe equipped with a washing machine. 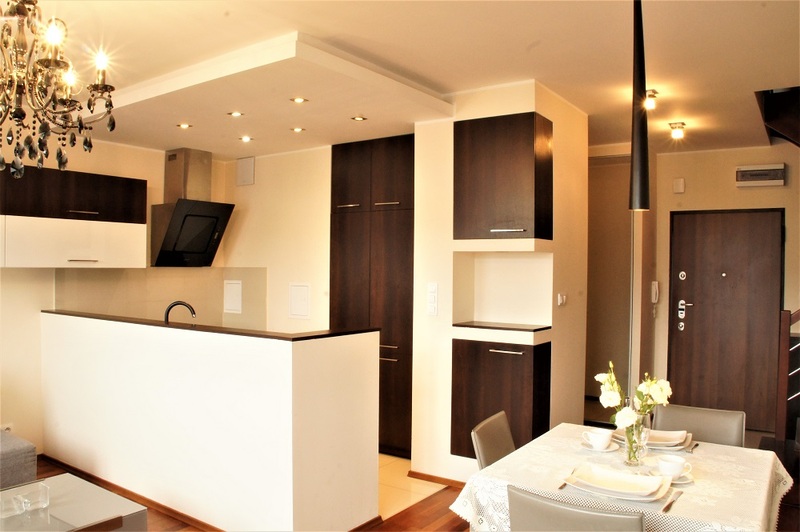 The apartment is located in an apartment building built in 2012 in a good location in Mokotow. Entrance halls and a corridor covered with stone slabs, on the other floors porcelain tiles, in the entrance hall fragments of walls covered with travertine slabs. The building has mechanical exhaust ventilation. The condominium is closed and there is 24/7 security. 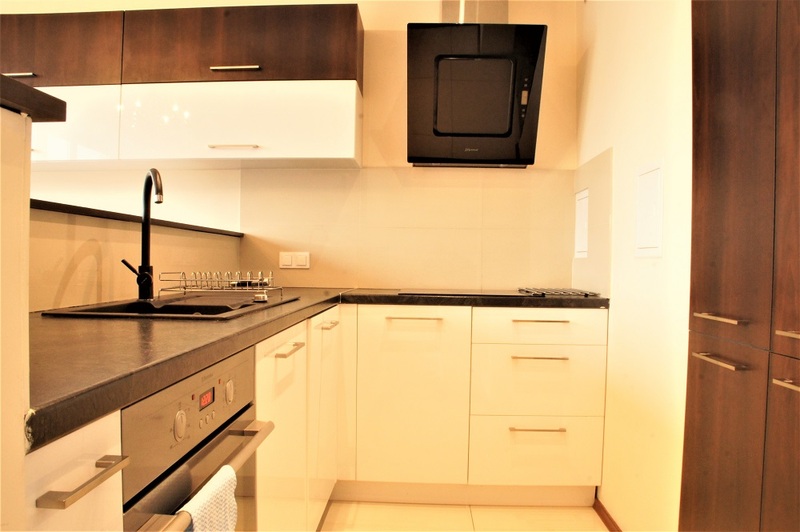 A place in the underground garage located on level -2, payable additionally PLN 29,000 / USD 3,850. 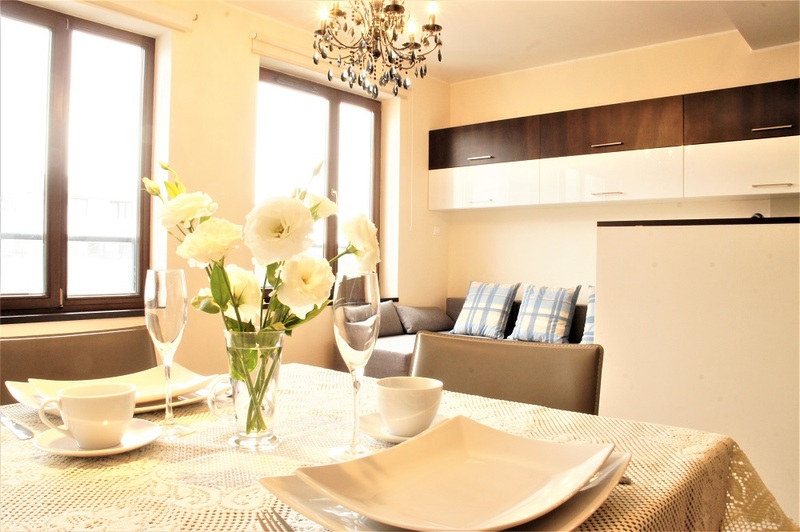 The apartment is located in the area very well connected with the rest of Warsaw and conveniently located close to roads to Praga Południe / S17 road and towards Kraków, Poznań and connectors S2, S7, S8. Attention! Low administration fee! 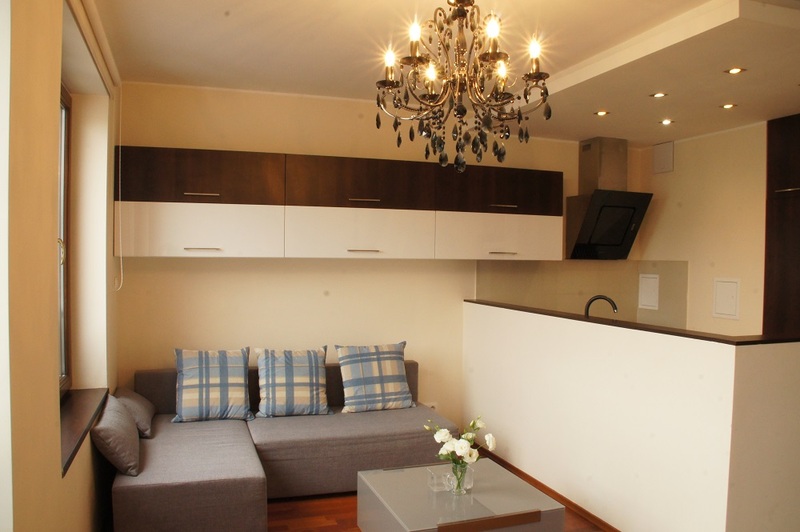 PLN 660 / USD 180 per month for an apartment, garage space and storage room. The administration fee includes: water, heating, FR, security, garbage disposal, taking care of greenery, cleaning and service of common areas. 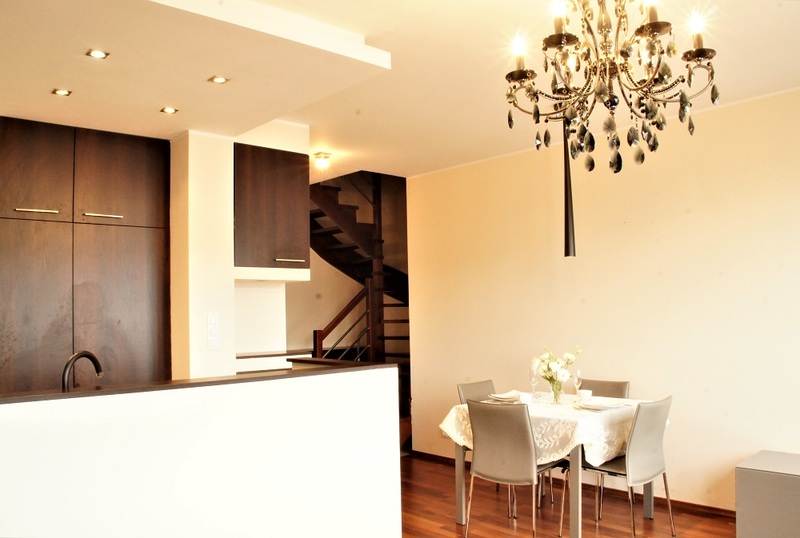 Very good investment option, possibility to rent for PLN 2,900 / USD 780 for a flat plus a garage space. Possibility to rent a garage space separately due to the great interest.